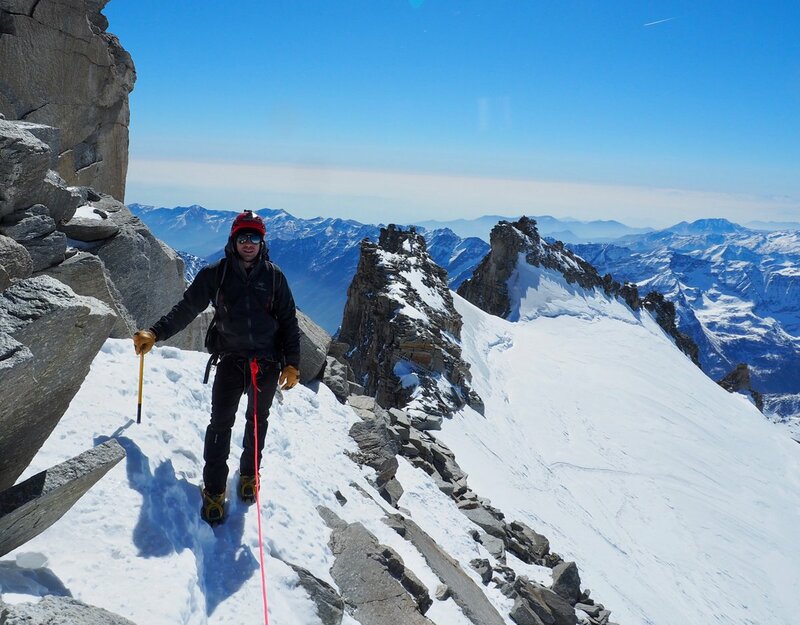 The superb spring weather continues around the Mont Blanc Massif and, happily for our 2 Ski Haute Route groups this week, all along the Southern Swiss Valais Alps and thus the famous journey from Chamonix to Zermatt. 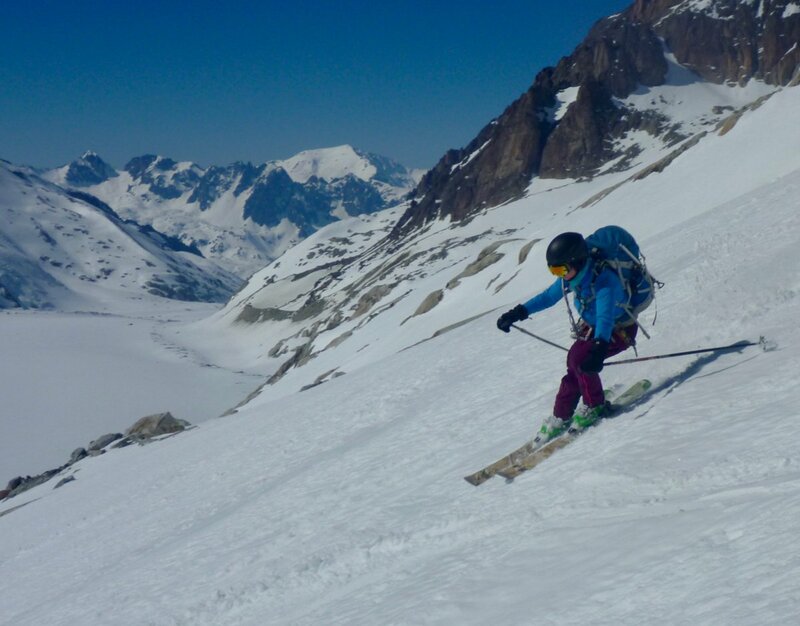 Our Chamonix Ski touring groups have also been enjoying the good spring snow volume and great weather and doing some fine tours in the Aiguilles Rouges, Vallee Blanche, Glacier d’Argentiere & Les Contamines. 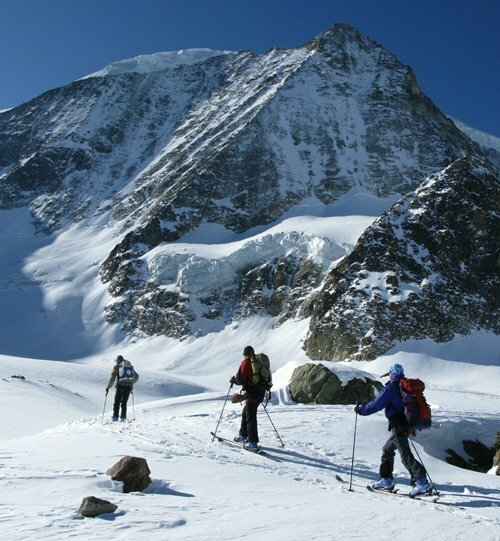 Our ski Haute Route team heading to Zermatt via the Col de Valpeline with the Matterhorn now in sight! 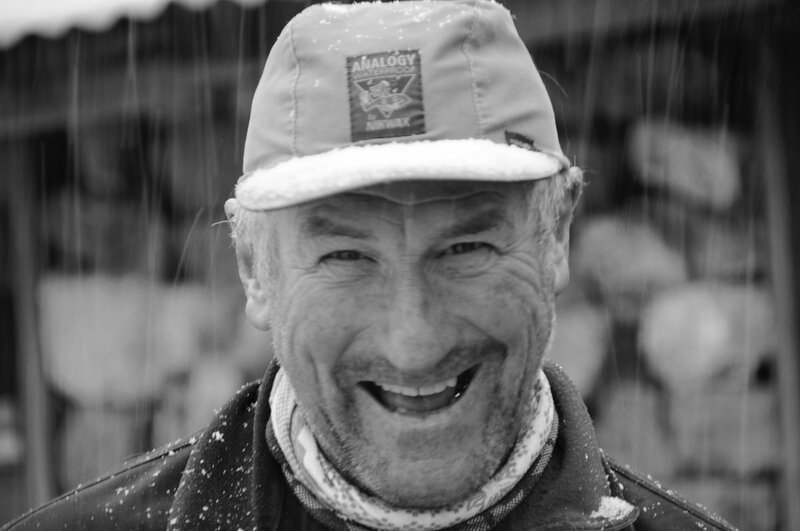 Photo Gav Pike. 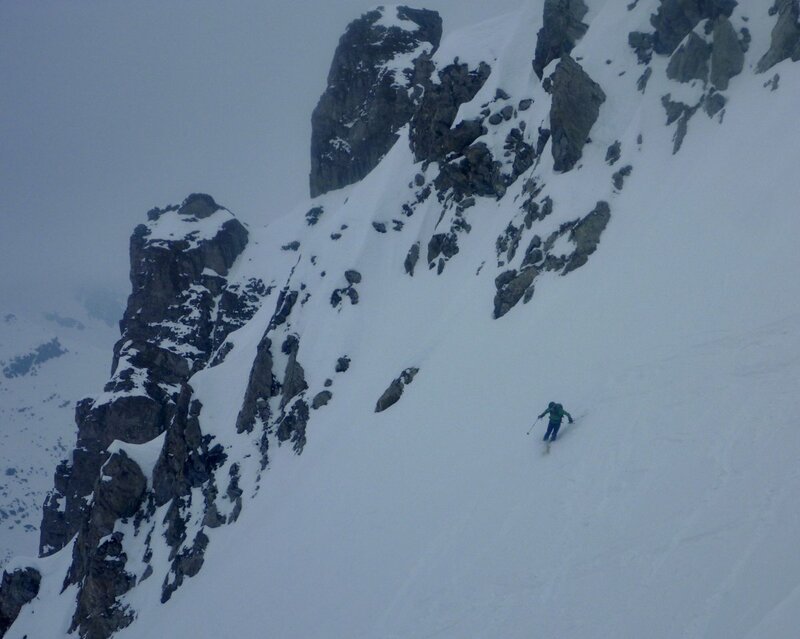 Superb position for Peter ski touring in the Aiguilles Rouges, en route to the Breche Berade. 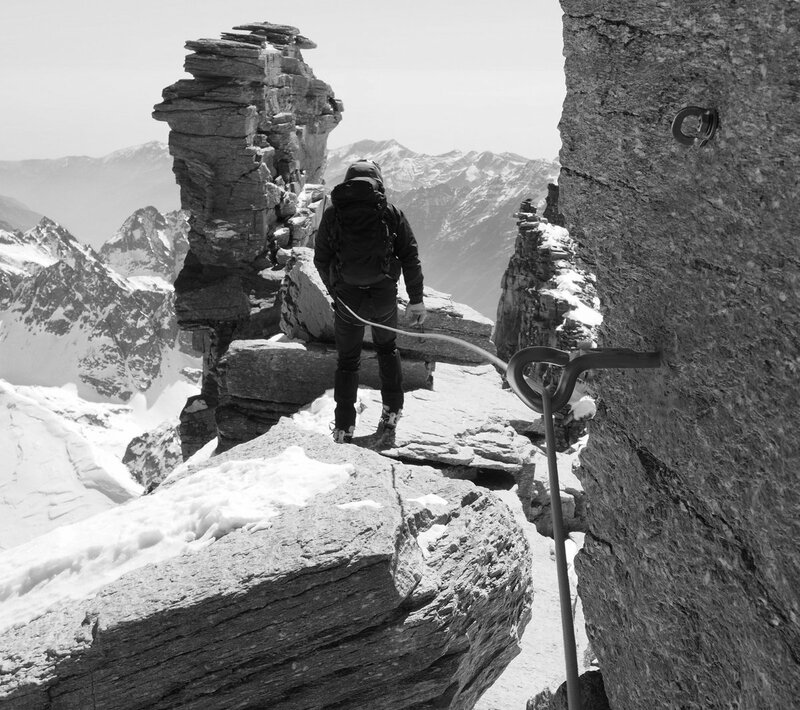 Photo Hannah Burrows-Smith. 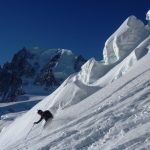 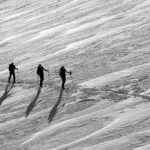 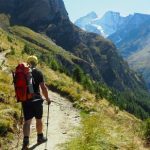 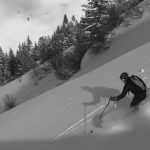 Peter and Hannah have enjoyed an ‘advanced intro’ to Chamonix ski touring with tours on the Col de Chardonnet, Breche Berade and Col des Autannes. 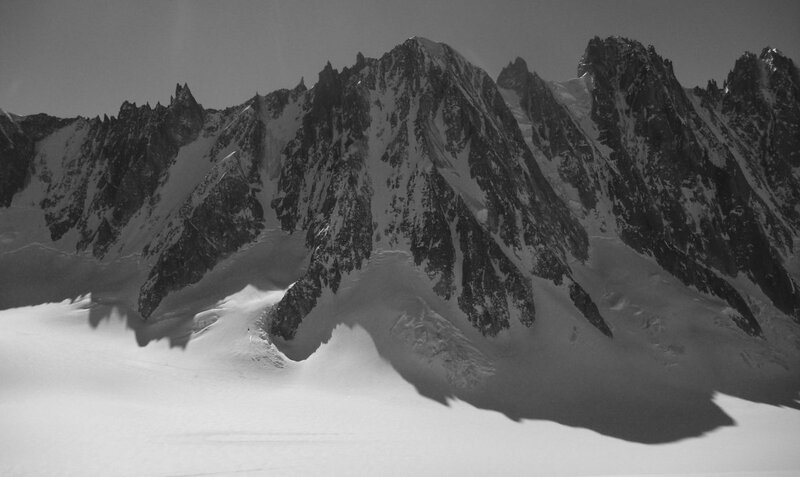 There was nice spring snow on the French side of the Chardonnet once it had warmed up in the chilly late March sunshine. 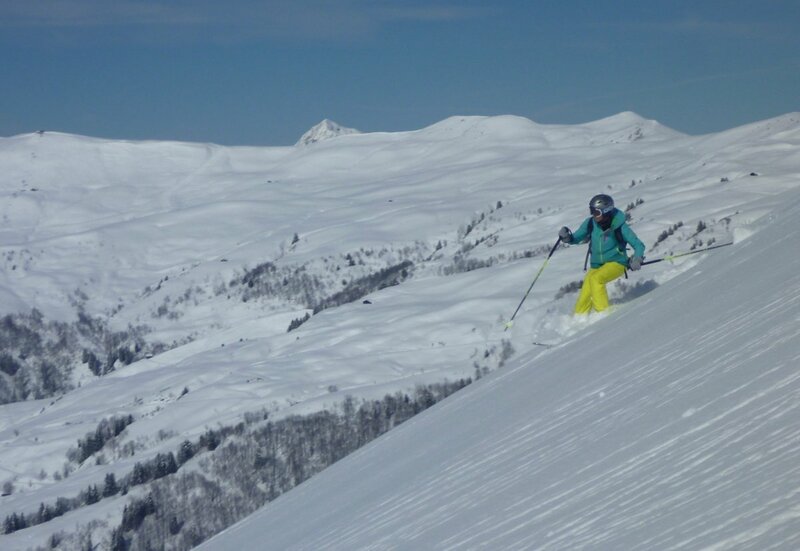 Likewise the descent of the Berade Valley has overall decent conditions, albeit with a technical ‘luge’ section lower down in the woods including both rocky, icy and short exposed sections! 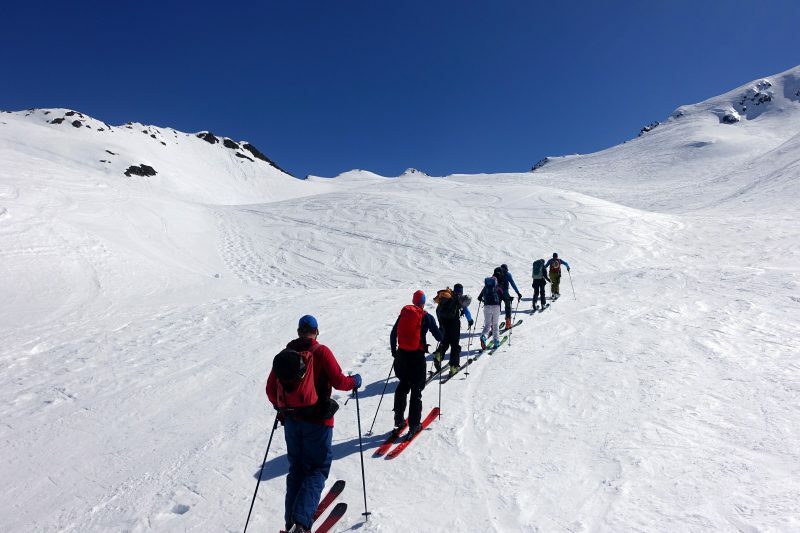 The same team skied the Col des Autannes today via the Le Tour lift system and skied nearly all the way to the car in Trient. 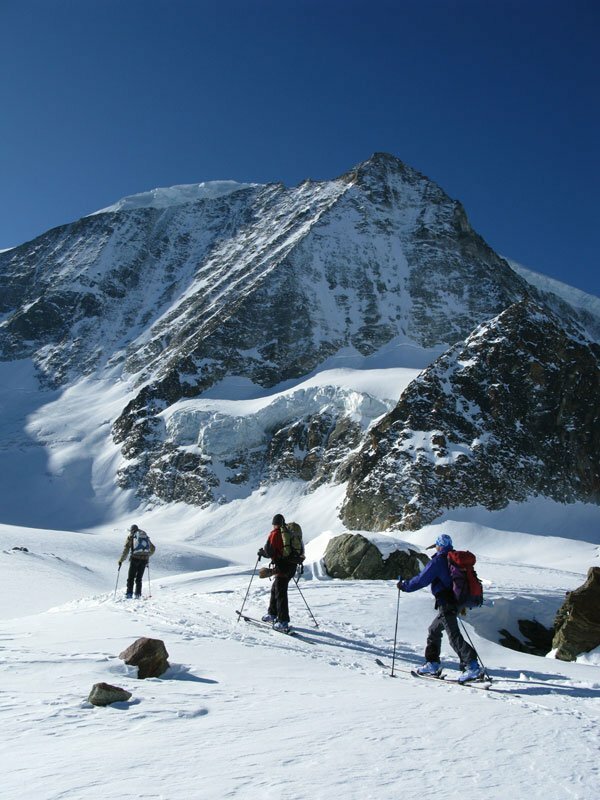 A very enjoyable journey. 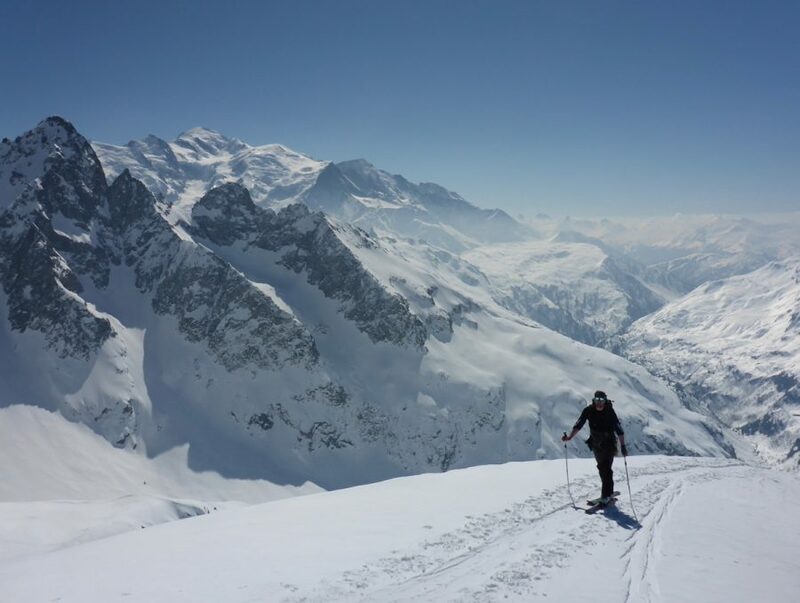 Our Chamonix off piste & mountain skills course skied at Les Contamines and finished the course with a crossing of the Col de la Fenetre and descent of the Roman Road back to N.D. de la Gorge. 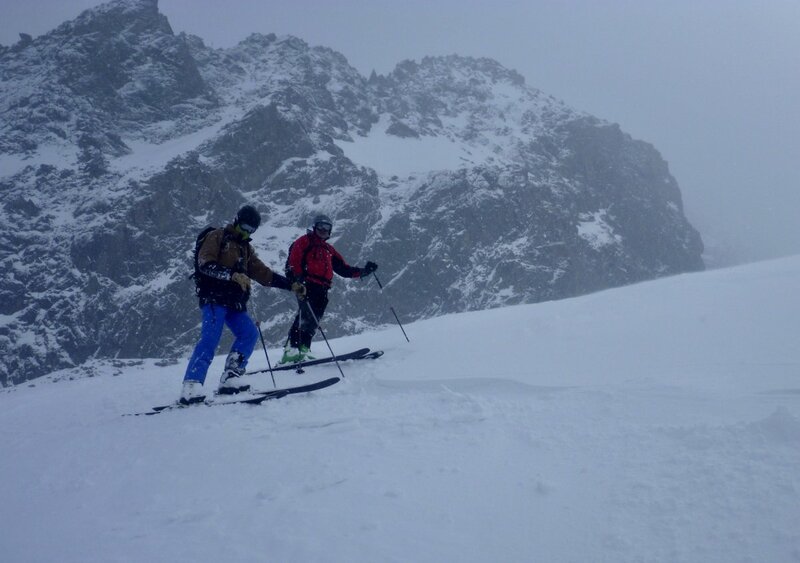 Decent conditions later on once softened and only removed skis once. 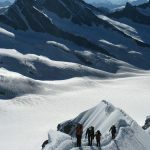 The Vallee Blanche is still in reasonably good shape down to Montenvers although below that is thin and requires plenty of walking lower down. 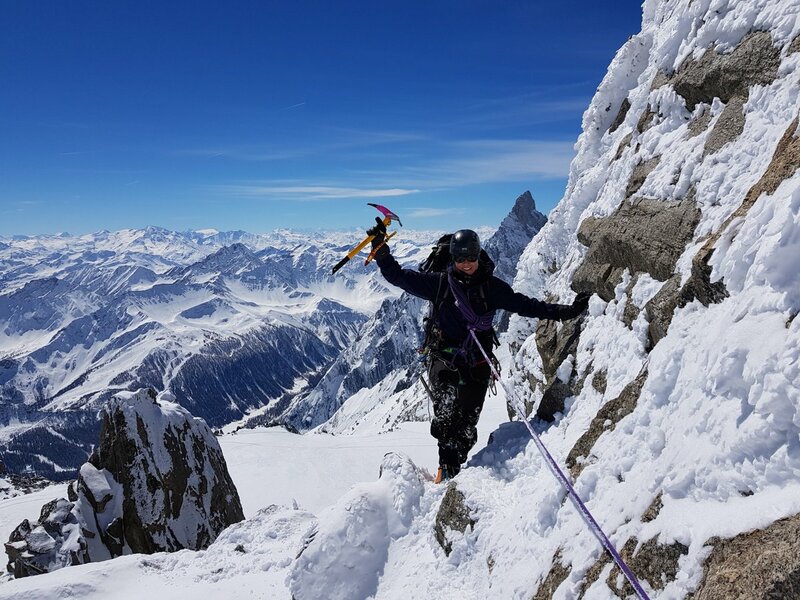 Neil & Paddy enjoyed some quality Chamonix Mountaineering training on the Mer de Glace today and packed in the ice climbing intro along with movement skills & technical rope work & crevasse rescue training. 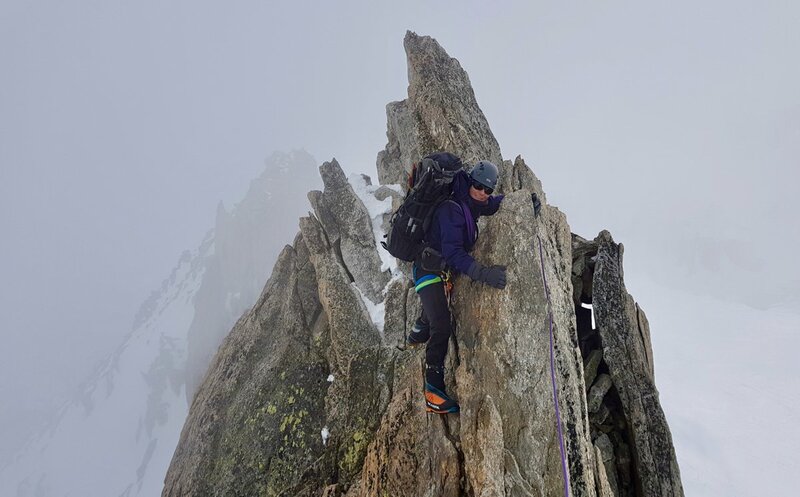 Other teams have also been out enjoying the great weather for mountaineering and even Chamonix rock climbing on the sunny crags, for example above the Argentiere Hut or over on the Pt Lachenal. 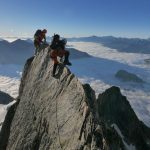 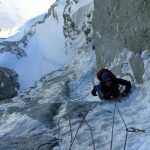 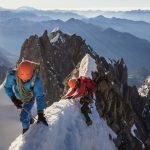 Teams have also been doing the Cosmiques Arete, Aiguilles Marbrees & Aiguille d’Entreves. 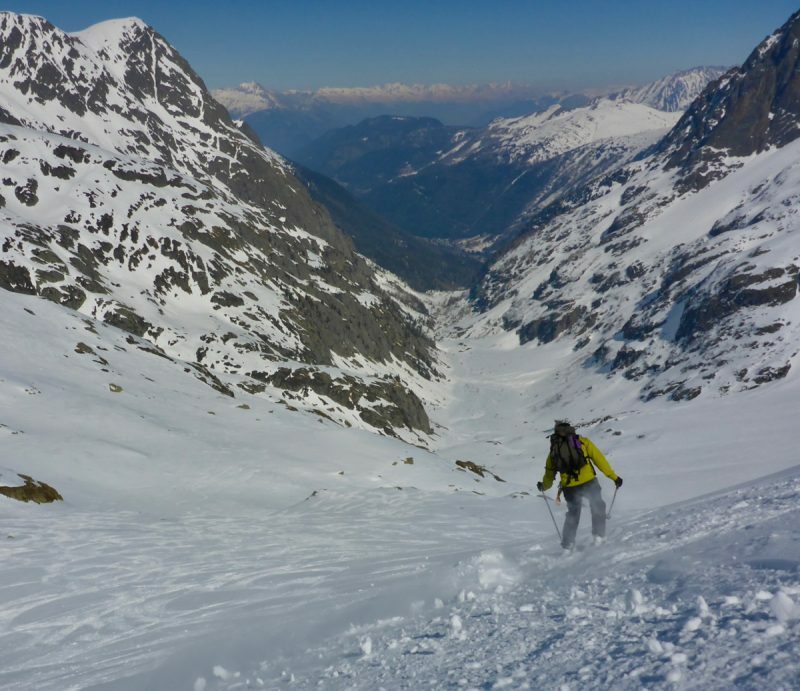 These ski mountaineering days were the touring days on our Chamonix off piste & mountain skills progression course. 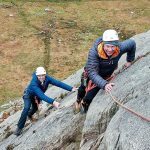 We have places available on both this and the classic course in mid April. 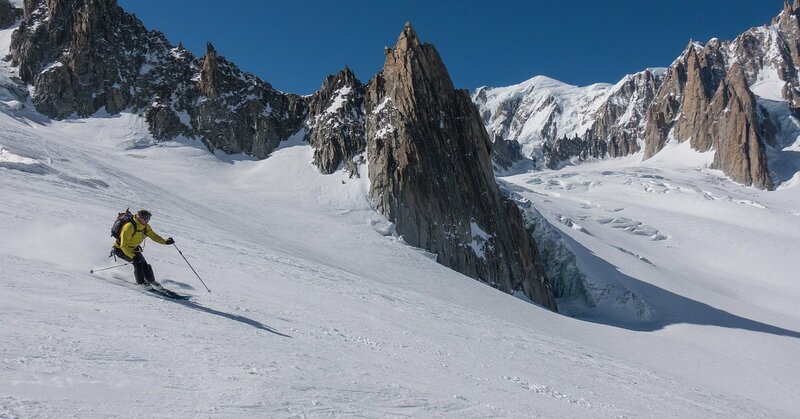 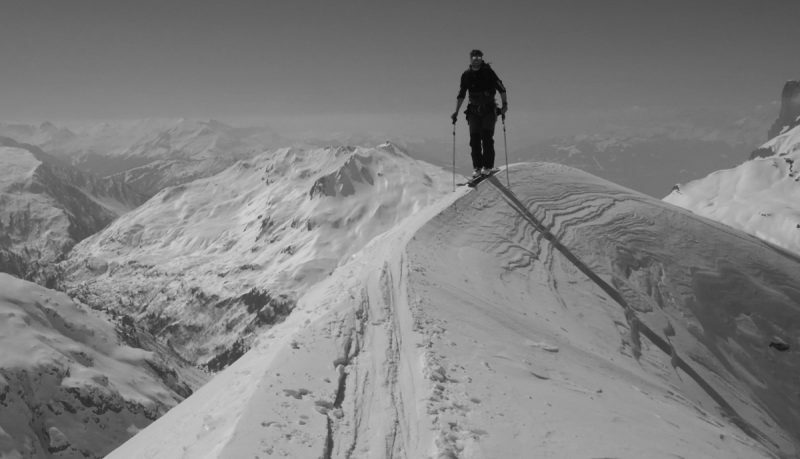 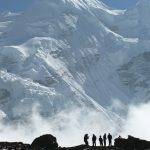 We also have a place on our Ski Mont Blanc course in May.